Ok, yeah, I know: Halloween was so yesterday and we’re looking forward to Thanksgiving already. But I just grabbed my last bag of Halloween-themed sale candy. I couldn’t resist: it’s a big bag of Willy Wonka goodness AND it was on sale. Plus, there’s extra Halloween-themed silliness involved. 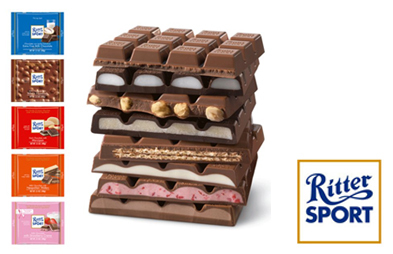 What’s a Candy Addict to do but dive right in? First up, Willy Wonka Laffy Taffy Ear Wax. Maybe all the Harry Potter ear-wax-flavored jelly bean references are to blame, but for some reason I had to try these first. Fortunately, these do not look or taste like ear wax. This cheery yellow Laffy Taffy tastes like banana. Granted, it’s that fake, candy banana taste, but it’s mellow enough that I enjoyed it. These were surprisingly sweet, but in a good way. And, as I chewed, I got that nice, underlying taffy flavor. The texture was good, too – nice and chewy, but it didn’t stick to my teeth. 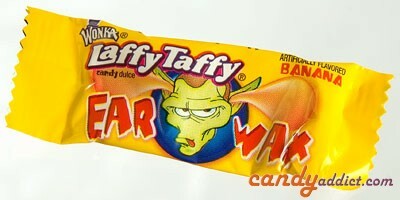 Between the fun, gross out factor and the taffy goodness, I’d have these again. One of the best things about Halloween for me is the post-Halloween candy sale. I get to try out all sorts of fun stuff while extending the Halloween spirit for as long as the candy lasts. 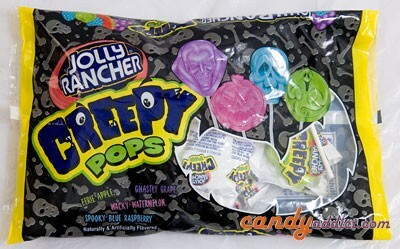 Being a Jolly Rancher fan, I immediately gravitated to the Jolly Rancher Creepy Pops. 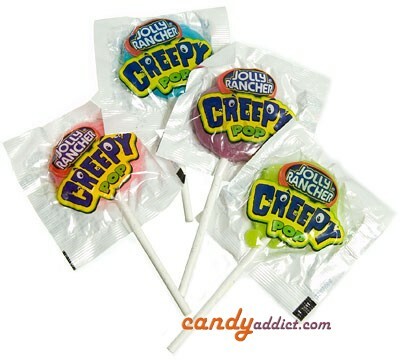 Plus, I love lollipops so I couldn’t wait to try these. 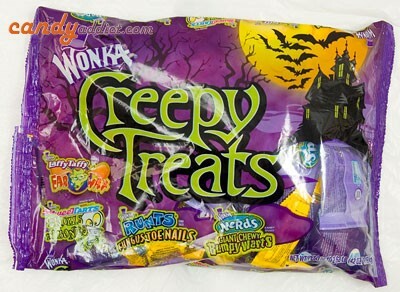 The bag has four flavors: wacky watermelon, spooky blue raspberry, ghastly grape, and eerie apple. Each pop is individually wrapped but you can tell what flavor you’ll be getting because you can see the color through the wrapper. 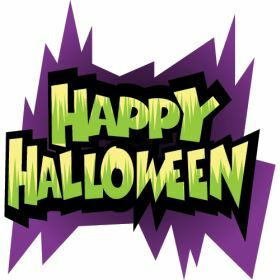 Happy Halloween from Candy Addict! It’s that time of year again! 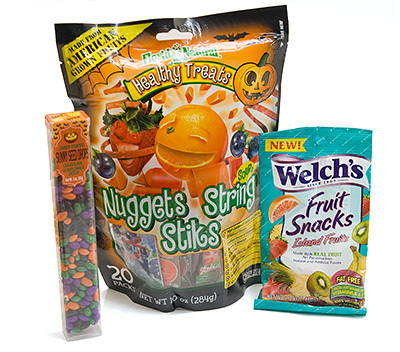 The time of year that brings warm fuzzy feelings to every Candy Addict’s heart – Halloween is here! Of course, those of us without offspring of our own are more concerned with the coveted After-Halloween-Candy-Sales or with figuring out how we can make ourselves look 20 years younger and dress up to score our own free candy. So while the finishing touches on your “No, really, I’m only 8 years old” sign are drying, don’t forget to check out some of our previous Halloween posts, and be sure to have a safe and happy Halloween night!